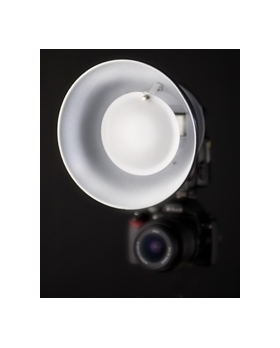 The Beauty dish will give a soft uniform light source, ideal when combined with a reflector or other Strobies products to add a fill light. Using the Beauty dish in iTTL or eTTL flash mode requires no adjustment to your exposure systems. 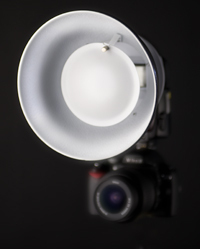 You can use the Beauty dish as a reflector by removing the central disk to create a hard or long though light source.